Find the latest 2009 Honda Odyssey recalls as issued by the National Highway Traffic Safety Administration (NHTSA) and Manufacturers. Consequence A fuel leak increases the risk of a fire. Consequence STRUTS WITH DIMINISHED PERFORMANCE CAN LEAD TO UNEXPECTED CLOSURE, INCREASING THE RISK OF PERSONAL INJURY. Notes HONDA'S RECALL CAMPAIGN NUMBER IS S22. CUSTOMERS MAY CONTACT THE NATIONAL HIGHWAY TRAFFIC SAFETY ADMINISTRATION'S VEHICLE SAFETY HOTLINE AT 1-888-327-4236 (TTY: 1-800-424-9153); OR GO TO HTTP://WWW.SAFERCAR.GOV. Remedy HONDA WILL NOTIFY OWNERS, AND DEALERS WILL REPLACE BOTH POWER LIFTGATE GAS STRUTS FREE OF CHARGE. 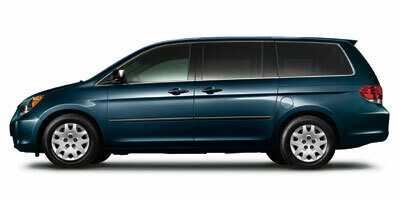 THE SAFETY RECALL IS EXPECTED TO BEGIN ON OR ABOUT MARCH 13, 2012. OWNERS MAY CONTACT HONDA CUSTOMER SERVICE AT 1-800-999-1009. Remedy Parts to permanently repair the affected vehicles are not currently available. Honda will notify owners with an interim letter during April 2014. A second notice will be mailed to owners when the remedy becomes available, currently expected to be during the summer of 2014. Any vehicles that are currently leaking from the fuel pump cover will get a replacement, original cover. All vehicles, including those receiving the interim repair, will get an improved cover when they are available. Owners may contact Honda at 1-800-999-1009. The recall numbers associated with this campaign are JD9 (inspection and/or preliminary part replacement) and JE0 (final parts replacement). Summary American Honda Motor Co., Inc. (Honda) is recalling certain 2005-2010 Honda Odyssey vehicles manufactured June 23, 2004, through September 4, 2010. In the affected vehicles, the fuel pump strainer cover may deteriorate allowing fuel to leak out. Summary HONDA IS RECALLING CERTAIN MODEL YEAR 2008-2009 ODYSSEY VEHICLES, THE GAS-FILLED STRUTS THAT HELP TO RAISE AND SUPPORT THE LIFTGATE OF VEHICLES EQUIPPED WITH A POWER LIFTGATE SYSTEM MAY BE PRONE TO EARLY LIFE FAILURES DUE TO A MANUFACTURING FLAW. THE FLAW CAN RESULT IN A LEAK OF THE PRESSURIZED GAS, LEADING TO REDUCED STRUT PERFORMANCE.